I haven't done a Friday Favorites post in a long time. This week I decided to focus my "Friday Favorites" post on stuff I've liked on my Bloglovin' feed within the past two weeks (roughly). 1. 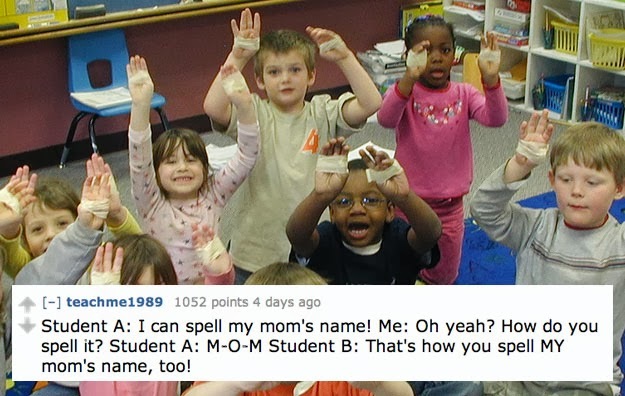 13 of the Funniest Things Kids have said to their teachers via Buzzfeed. 2. The $1,574.48 Haircut via Karly Kim. 3. How To Make A Miniature Pom Pom via 504 Main. 4. Cherry tomato and tortellini soup via Melanie Makes. 8. 22 Struggles All Curvy Girls Know to be True via Buzzfeed. Well that's all my favorites to be shared, for now. Oh my! The kids are hilarious! I'm a temporary teacher in a high school after my classes and student teacher talk is always just SO funny! I'm a teacher so I have to check out that link. I bet I could add so many more.